PA-32RT-300 Lance II - One 225kW (300hp) Lycoming IO-540-K1G5 fuel injected flat six piston engine driving a two blade c/s propeller. PA-32R-301 Saratoga SP & II HP - One 225kW (300hp) Textron Lycoming IO-540-K1G5D driving a three blade c/s prop. PA-32-301T Saratoga II TC - One 225kW (300hp) turbocharged Textron Lycoming TIO-540-AH1A driving a three blade constant speed prop. PA-32RT-300 - Max speed 306km/h (165kt), max cruising speed 293km/h (158kt), long range cruising speed 258km/h (139kt). Initial rate of climb 1000ft/min. Service ceiling 14,600ft. Max range with reserves 1600km (865nm). PA-32R-301 - Max speed 314km/h (170kt), normal cruising speed 302km/h (163kt). Max initial rate of climb 1116ft/min. Service ceiling 15,590ft. Range at normal cruising speed with reserves 1370km (740nm). 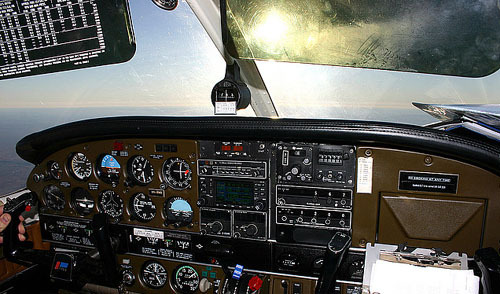 PA-32R-301T - Max speed 346km/h (187kt), cruising speed at 10,000ft 324 km/h (175kt), at 15,000ft 343km/h (185kt). Max certificated ceiling 20,000ft. Range at long range cruise power and 10,000ft 1756km (948nm). PA-32RT-300 - Empty 912kg (2011lb), max takeoff 1633kg (3600lb). PA-32R-301 - Empty equipped 1072kg (2364lb), max takeoff 1633kg (3600lb). 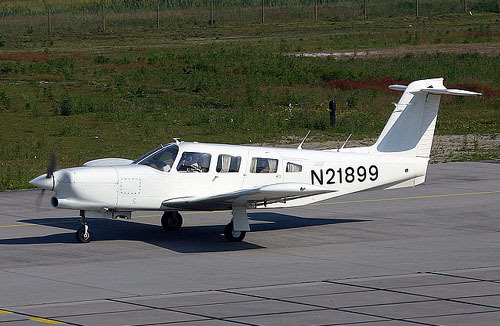 PA-32R-301T - Empty equipped 1118kg (2465lb), max takeoff 1633kg (3600lb). PA-32RT-300 - Wing span 9.99m (32ft 10in), length 8.44m (27ft 9in), height 2.90m (9ft 6in). Wing area 16.2m2 (174.5sq ft). PA-32R-301T - Wing span 11.02m (36ft 2in), length 8.23m (27ft 0in), height 2.59m (8ft 6in). Wing area 16.6m2 (178.3sq ft).